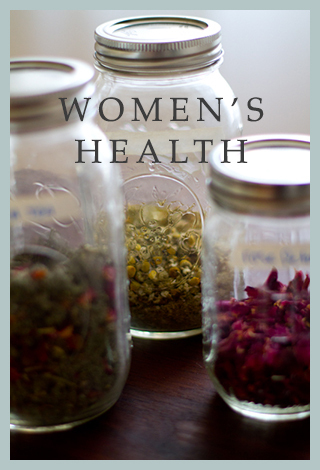 Sage and Spirt Wellness was created to inspire & educate on women's health, herbalism, nutrition, food and lifestyle. Edema (or swelling) in pregnancy is a common occurrence. Most women experience it to some degree usually during the 2nd and 3rd trimester. Edema can be a isolated symptom or in some cases a marker for something more serious like Preeclampsia. For this article, we are going to discuss edema as an isolated symptom of pregnancy and not part of a larger cause like preeclampsia. Pregnancy hormones mainly estrogen can create water retention because it creates the connective tissue to swell which is a protection for mother and baby. 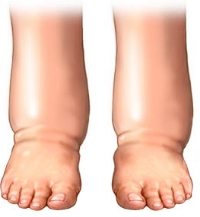 But excessive edema, (like the photo below) is a major discomfort and a sign that there is a stress on the kidneys or a severe lack of dehydration both of which are not optimal for a healthy and easeful pregancy. There are several ways to insure you do not swell to excess during pregnancy. The first of which is circulation. Having an exercise routine at least 30 minutes a day of walking, yoga or pilates will keep your blood flooding easily to your extremities. Sometimes this is all that is missing from your routine to reduce swelling. Locally in our Denver community there are plenty of choices to take classes specifically for pregnancy. Places like Belly Bliss and The Mama'hood are two great businesses that are women centered. Also yoga studios like Breathe yoga which offer a prenatal yoga class on Saturdays with Laura Wade Jaster, an incredible teacher, is another great option! If you cannot get to a class, a brisk walk of 30 minutes everyday is a perfect way to get your blood flowing. Another area to explore if you are already doing some movement therapy is your level of hydration. Most people think drinking water is enough to keep you hydrated. But it is not. Minerals are what hydrate us not just the water. And because our soil is so mineral deficient and most of us are filtering our water (which is a very good thing!) we need to add minerals back into the water and our diet. The first and essential way to do this is to re-mineralize your filtered water. If you are drinking distilled or reverse osmosis water most every mineral is stripped out. So we have to put it back in. Adding a pinch of Celtic or pink Himalayan sea salt to your water is the foundation for that re-mineralization. If you local to Colorado, I get my salts from The Savory Spice shop but most health food stores carry both of these salts. Table salt and kosher salt are not good substitutes. Table salt is 97.5% sodium chloride, 2.5% chemicals and dried at over 1,200 ºF. So as you can see, not much health benefit there. But Himalayan sea salt has over 500 minerals in it, contains all 84 elements that are found in the body and has a huge list of benefits to it outside of hydration. For some women, especially if not pregnant, adding minerals to your water is all you need to feel hydrated. But for most pregnant women, especially in the dry climate of Colorado during winter, where the dry heat is on, we have to take this further. You need to super boost your water. One of the easiest ways to reduce swelling I have seen in my practice and in my own body being 6 months pregnant is adding a product called Vega Hydrator to your water once a day. This is a vegan, completely artificial free product. I love this and have seen it reduce edema within days. It is sweetened with stevia and does taste a bit sweet (to me) but it is worth the benefit. You can find it at most health stores and online. If you are properly hydrated and moving your body on the regular, look into your diet. Are you ingesting too much sodium? Now as I briefly stated above sodium and salt are two different things. If you are salting your food with a good Celtic or Himalayan salt this is perfect. And actually too little salt in a diet can cause water retention. But if your diet is consisting of canned soup, frozen dinners and packaged food as part of your daily plan, or you eat out regularly, I guarantee you are getting way to much sodium. 2,500 mg is about what you want to shoot for during pregnancy and beyond. But eating one can of Annie's organic lentil soup is around 1,200 mg of sodium. And most people are getting about 6 times this amount daily. So skip the canned soup and make it from scratch! There are some very simple recipes out there, and if you need inspiration, head over to my Pinterest page and check out my Super Clean Eats board. I love to cook and eat so you will find tons of healthy recipes. Use 1 tbs of the combined dried plants to 1 cup of pure water. Allow to steep for at least 20 minutes. Drink 2 cups daily. 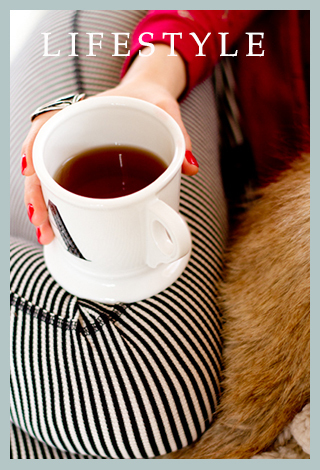 If you are not yet a client of mine and do not have access to my herbal blends, contact me to order the above tea. Or you can source it from a local apothecary like Artemesia and Rue in Denver or Mountain Rose Herbs online. I use the above as a holistic remedy to prevent edema. But if all of this fails, then it is time to speak with your midwife or health care provider to make sure it is not a condition like Preeclampsia. Some of the above steps can combat Preeclampsia if mild but for more severe cases especially in late pregnancy, you want the support of your birth team! Have experience with Edema and success with something not mentioned above? Leave a comment below so we can learn from your wisdom. After reading Part 1 and 2 of this article, you have probably noticed that sugar is everywhere. And I mean everywhere. One of my clients who is drastically changing her diet and kicking some serious boo-tay at it, said to me " Sugar is in everything! I could not believe when I started to take it out of my diet how it was showing up everywhere." And this is so true. Once you make the commitment to leave sugar behind, you will see, like any good drug with a masterful dealer like the commercialized food industry, they will not let you go quietly into the night. It will whisper to you in the forms you would not suspect: rice, soup, pasta sauce, peanut butter. I mean does peanut butter really need to be sweeter than it already is? Let's do a little experiment. Go to your pantry right now and grab three packaged items...I will wait. Ok, do you have them? Now turn them over and read the list of ingredients. My guess is at least 1 out of the 3 have some sort of sugar in it. And more likely it is 2 out of 3. Not sure of the other names sugar hides behind? Here is a list : Aspartame, corn starch, crystalline carbohydrate dextrin, dextrose, disaccharides, galactose, glucose, levulose, malts of any kind, maltitol, maltodextrin, maltose (malt sugar), manitol, mannitol, mono-saccharides, sucrose, Nutrasweet, polydextrose, polysaccharides, ribose, saccharin, sorghum, suamiel, succanant, xylitol. I know this seems redundant to say and probably most of you are like "duh" but it is a lot harder than it seems. Most people have very full lives and unfortunately meal planning and cooking from scratch does not a make the cut. But this has got to change. In order for us to live the lives we so desire, feeling the way we want to feel, we have got to take back control of the food that we eat. Period. And the best way to do that is at the grocery store and in the kitchen. Now that you have a good foundation on what sugar really is, how it effects your metabolism and how to reduce it, lets get you up to speed on the best sugars to consume when baking and cooking. One of the easiest ways to release the sugar from your day or at least reduce it , is to choose sweet treats that contain only natural sugars like honey, maple, molasses, coconut sugar, dates, date sugar, fruit and stevia. You may notice agave is not on my approved sugar list. Yes, I do not believe agave is a healthy sugar. After years of research around the production of agave, my opinion is it contains more fructose than even high fructose corn syrup. And fructose is not the kind of of sugar we want to ingest on the regular, remember why? But if you need more than my word for it, check out this article by Dr. Mercola. 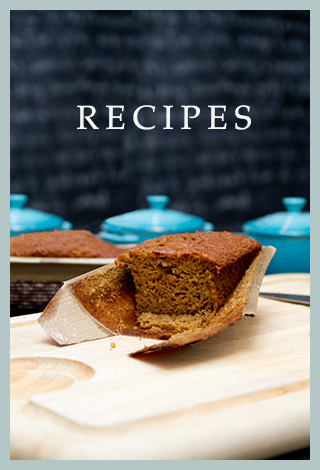 Here is a great recipe for a seasonal pumpkin bread that is delicious and made without refined sugar, gluten and dairy! And you can feel good about eating it and giving it to your kids. *if you do not know how to make fresh ginger tea, peel fresh ginger and add about an inch to 1 cup of water. Let it come to a boil, turn off heat and cover for 10 minutes. Strain the ginger and use the tea for the recipe. Preheat oven to 350º and grease a loaf pan with coconut or grapeseed oil . In a medium bowl, mix all the dry ingredients together and pass through a sieve. If you do not have a sieve , mix with a hand mixer or whisk. In another small bowl, mix all wet ingredients together and add the dry ingredients in thirds to the wet, combining as you go. If you are adding the nuts or cacao, go ahead and add them. Pour into your prepared loaf pan and set on the middle rack in your oven. Bake bread for about 50 minutes to an hour. cook until a toothpick comes out clean. Let rest in pan for 10-15 minutes then enjoy! And remember, sign up for my newsletter below for a chance to win a tin of homemade holiday cookies made by me! Winner will be chosen by December 1st! 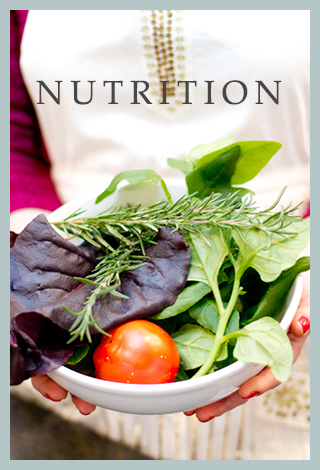 Ready to heal your body, and cultivate your life?